Let All Ways Graphics help you reach your Target Area and SAVE $$$ on postage. With Every Door Direct Mail® (EDDM®) by USPS® you can map your marketing mail audience by age, income, or household size. You can use the EDDM mapping tool to choose the ZIP Code™ and carrier route that will target your best possible customers—current and future. The EDDM mapping tool is easy to use and discounts are available even for small businesses. Visit our website (image clickable to our EDDM page which should have a clickable link to USPS Mapping Tool) to learn more! With Every Door Direct Mail© service, your business can reach every home, every address, every time. You simply select the neighborhoods you want to target, and a Postal Service™ Letter Carrier delivers your mail piece with the day's mail. You don't even need to know names or street addresses. 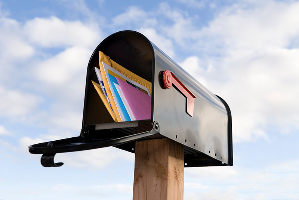 What are the benefits of Every Door Direct Mail service? What types of businesses use Every Door Direct Mail? Retailers: Auto dealers, restaurants, furniture stores, supermarkets, sporting goods shops, department stores, electronics stores, and more. Service-based businesses: Banks, home-improvement companies, insurance agencies, real estate firms, health-related providers, and more. Is it for local or national mailings? What types of pieces can I mail? Every Door Direct Mail is available with the following formats: Standard Mail© flats, irregular parcels, periodicals, and bound printed matter flats. This gives you a flexible range of options. You can do anything from a quick sales announcement to an in-depth product story. Plus, you can include coupons, maps, menus, event calendars, and more.